Giant video walls are popping up left and right on news sets these days, but there’s another part of TV stations that can also leverage video panels — the newsroom. In today’s information driven world where news streams in from multiple sources constantly, it’s no longer enough to just monitor competitors’ stations, though that certainly is a great way to utilize video panels in the newsroom. With the increasing variety of over the air, OTT content sources and social and other realtime data feeds, in addition to any in house router feeds, more and more monitors are needed to keep an eye on everything. A video panel can, of course, simply show a single video feed — but when linked together in an array the possibilities for showing feeds expands exponentially. A single source can be spread over multiple panels for emphasis or a single panel can be multiplexed to pack more feeds into the same amount of space. When equipped with video control software,the exact video sources and the sizing and arrangement can also be dynamically changed based on dayparts, breaking news or other situations with just a few clicks of a mouse. An ideal panel for this type of newsroom installation is the new 55-inch IPS Snello professional grade video wall displays from Primeview. 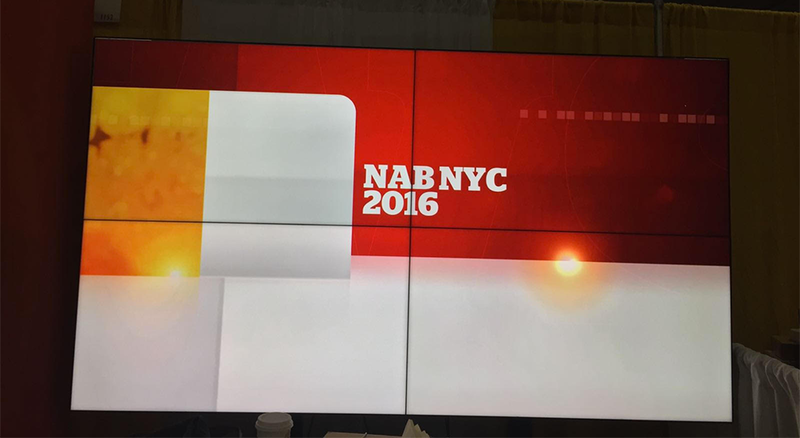 The Snello panels boast a specialized matte finish that reduces glare — a key factor for newsroom use where lighting and viewing angles may vary greatly. The panels are also engineered with narrower gaps, creating a cost effective solution that can emulate the look of larger, more expensive seamless video walls. The low glare feature and reduced gaping also make these panels ideal for in-studio use. Outfitted with available 3G HD-SDI natively embedded for both inputs and loop-through, the panels give broadcasters finite control over color temperature and calibration in addition to maximal off-axis viewing. In studio setups, the Snellos can open a realm of possibilities for new shooting angles and framing that might not have been possible with more traditional screen finishes or limited viewing angles. The Snello video panels also add the flexibility of lighting both the talent and set without compromising how either look on air, as well as using creative new angles that add depth to newscasts and fully showcasing the studio technology. Back in the newsroom, Snello installations can remain bright and visible from throughout the workspace, giving everyone at-a-glance access to them. Combined with video control software, the Snello video panels are ideal for displaying a wide range of dynamically generated content and video feeds ranging from social media streams to data feeds or even graphs, charts and realtime graphics that put the information your newsroom staff needs in front of them. The panels are ideal for a variety of newsroom configurations, ranging from wide, open office-style spaces with unpredictable natural light from windows to self contained newsroom-studio combinations — or any situation in between. The Snello panels’ quality and precision are also ideal for newsroom flashcam positions or full newsroom sets — where they can be used as both a scenic element and for video and data feeds to help your news team do their jobs better. While investing in video panels for a newsroom may appear to be counterintuitive, the fact is they can be valuable newsgathering tools that allow your news team to have access to a constant stream of information (while also keeping an eye on the competition). Newsroom video walls also have the advantage of not being locked into a certain configuration, allow for the exact display arrangement to evolve with your news organization. Low profile LED panels such as the Snello also allow for a more flexible installation options that could range from a traditional multi-panel wall to a wraparound video ribbon, or anything in between. This can also be an ideal way to maximize the investment in such equipment — during broadcasts, the panels can display video loops or other imagery meant more as a background element. When the video wall isn’t being used for a backdrop, meanwhile, it can be converted to be a more functional newsgathering tool for your team. Snello video arrays’ professional grade hardware are also ideal for nonstop use in 24/7 broadcast environments such as working newsrooms and studios (link to previous post on this subject). 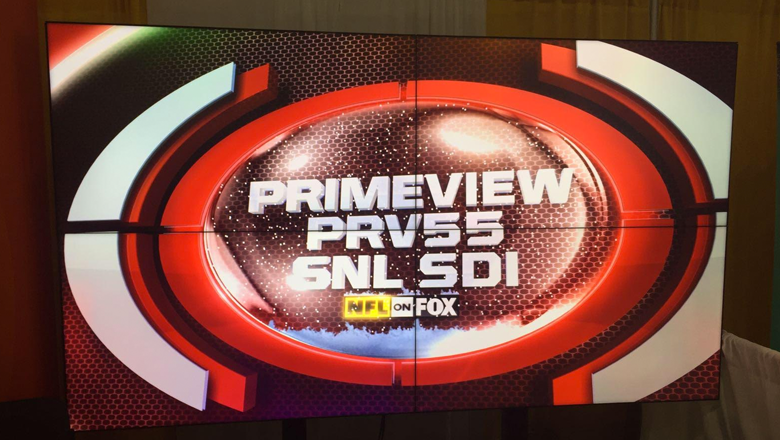 For more information about Snello video panels and other professional grade hardware for broadcast newsrooms and studios, contact Primeview today. The above content is sponsor-generated content. To learn more about sponsor-generated content, click here.